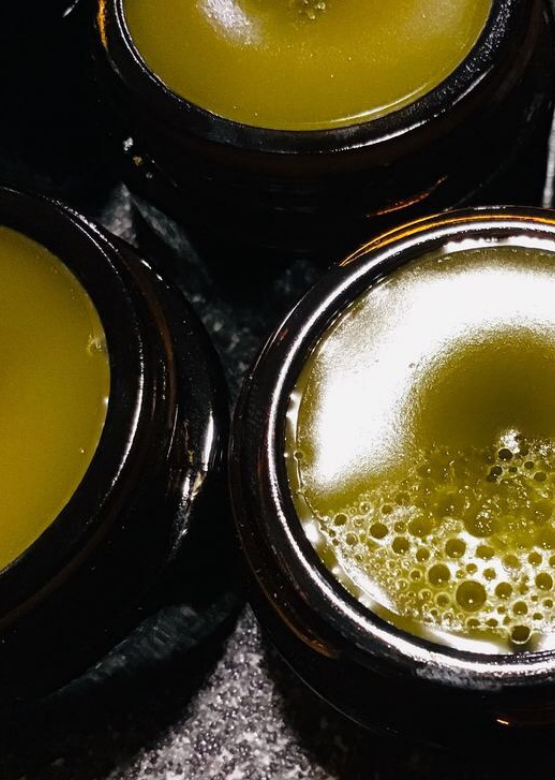 Applying oils to acne-prone and/or oily skin sounds counterintuitive but some oils can actually be your saving grace when it comes to acne or breakouts. Certain plant-based oils have antioxidants, amino acids and vitamins in abundance - which help to hydrate, protect, heal and moisturize the skin. Contrary to popular belief, many will not clog pores or make your skin even oilier. Here are some of the best oils to use if you have acne-prone skin or oily skin. Good to Note: For acne prone skin, see the comedogenic rating as it is best to use an oil that is low on the the comedogenic scale. This scale goes from 0 (will not clog pores) to 5 (more likely to clog pores). Jojoba oil (pronounced ho-ho-ba) is the oil extracted from the seed of the Simmondsia chinensis (jojoba) plant, which is a shrub native to parts of Arizona, California and Mexico. It is a highly prized moisturizer for oily, acne prone and/or sensitive skin as it is very light and its molecular structure is very similar to that of the skin’s natural sebum. It is an excellent carrier oil for oily skin given that it makes the skin halt the overproduction of its oils. Active essential oils should always be contained in carrier oils like jojoba when used in facial care. Hazelnut Oil is cold pressed from the nuts of Corylus avellana. It is known for its ability to absorb quickly and completely while leaving no residue. It is one of the best oils for oily and/or acne-prone skin as it is antibacterial and acts like an astringent which helps prevent excess oil production. Excellent for those with sensitive skin but avoid with anyone who has nut allergies. Hemp seed oil is a green oil that in cold pressed from hemp seeds. Very high in omega 6 and omega 3 fatty acids, anti-oxidants, vitamins and minerals. A simple, inexpensive remedy to moisturize skin but is also used to treat acne (including cystic acne), reduce the appearance of scars, reduce redness and promote healing. It is also used for skin conditions such as eczema and psoriasis. Does not clog pores and like the other carrier oils mentioned, it can be used as a daily moisturizer! Be your own alchemist and try adding a few drops to the carrier oils mentioned above to create your own personalized facial oil! Typically 1-2% essential oil in carrier oil is suitable for most skin types. has antibacterial, antiseptic and antiviral properties making it beneficial for treating blackheads, whiteheads or pimples and balancing oily skin. It also reduces the skin’s essential oils making it a great choice for handling acne. It's anti-inflammatory element reduces puffiness and redness caused by acne breakouts. Roman Chamomile is great for easing redness and inflammation thus alleviating breakouts; it also rejuvenates and restores the skin. A fantastic astringent, antiseptic and anti-inflammatory. This all means it helps in calming angry and inflamed spots. Patchouli essential oil also helps by attacking acne-causing bacteria and tightening opening pores to show the beauty underneath. A perfect option for mature skin as this oil has amazing anti-aging properties but is great for oily skin. It also has an astringent or tonic effect on the capillaries, making it suitable for those with rosacea. A favourite for oily skin as it lowers the production of the skin’s oil and decreases sebum glands. It also has effective antibacterial elements and some compounds which help in killing off bacteria. Coconut Oil may feel light on the skin but because it is so high in fatty acids it makes it more likely to clog pores. Used for all skin types to moisturize, repair sun damage and even reduce the appearance of scarring. Make sure to use in lower percentage with acne prone skin. (10%-20% in another carrier oil). A powerful moisturizer for dry skin but it has fatty acids that are plumping which can be a red-light for oily skin. Stay away from this one as it is likely too rich.